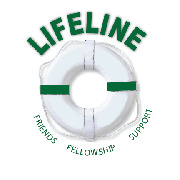 Lifeline is a nondenominational social and support group for widows and widowers. Meetings are the first Thursday of each month in the Parish Hall at 7:30 PM. Please contact the church office for the contact information or go to the lifeline meetup for more info.